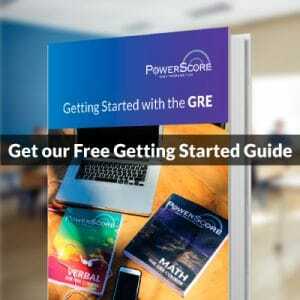 Whether you’re thinking about applying to grad school or considering taking the GRE for business or law school admissions, you likely have questions about the GRE. Does it make sense to take a class? How can I prepare on my own for the GRE? Can I actually improve my score? Should I take the GRE, the GMAT, or the LSAT? Even if you’re already preparing for the GRE or have already taken a GRE, getting answers to questions such as these can resolve doubts and equip you with knowledge to face this test and the admissions process with confidence. 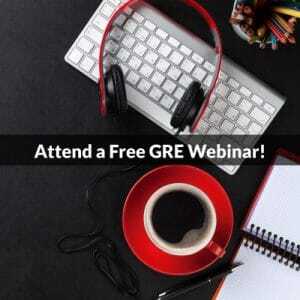 We are pleased to offer a free GRE 101 Webinar. Registration is free, and all who attend will receive a recording of the seminar and discount code for our courses. Continue reading for a preview of some of the topics we’ll cover. In GRE 101, we take it from the top. We’ll discuss the test itself and its background. We’ll also discuss misconceptions about the GRE prompted in part by its multiple redesigns. How do I register for the GRE? When and where can I take the GRE? We’ll go over how the GRE is administered and how to sign up. The GRE is a widely accepted standardized test. While most commonly known and taken for PhD and Masters programs, it is universally accepted for MBA admissions and is increasingly accepted for law school admissions. What is tested on the GRE? What is the structure of the GRE? We’ll discuss the overall content and organization of the test as well as the scope of the topics tested. We’ll get you up to speed on what you need to know to get the questions right. Among the major graduate admissions tests, the GRE has the most abstruse scoring structure. Get clear answers about how it works. What kinds of questions are on the GRE? The GRE has increased and varied question formats than ever before. Find out what to expect and directions for how the different questions work. What are the key test taking skills? The GRE, like the GMAT and LSAT, is a “skills-based,” not a knowledge-based, test. The way you should approach a test such as this is fundamentally different from many tests you’ve taken before. How should I get going with my preparation? What resources are available? We’ll cover a range of preparation options–from courses, to tutoring, to self study, etc. We’ll also give you an idea of how to plan your time.